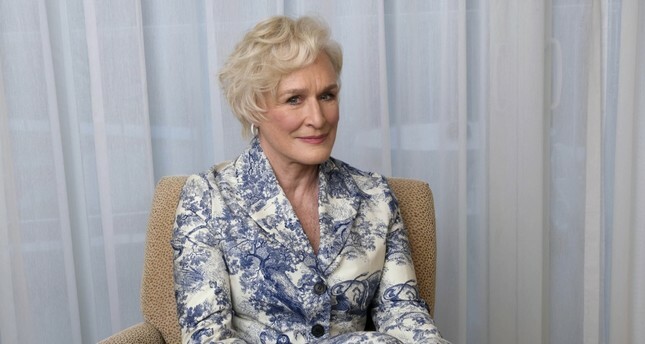 Glenn Close has been nominated for an Oscar for best actress for her role in "The Wife." Glenn Close stands doubled over laughing in the doorway to her downtown Manhattan apartment while her loyal white Havanese, Pip, circles an arriving reporter. It's star time for both. Close, among the most accomplished performers never to win an Oscar, may finally break through with "The Wife," in which, ironically, she plays a deferential spouse (to an acclaimed author, played by Jonathan Pryce) who has been long overlooked. The never-nominated Pip has developed his own following, thanks in part to an appearance on "The View." The dog's Instagram account, under the name "Sir Pippin of Beanfield," is up to 3,400 followers. What would an Academy Award mean to her? "It's taken me a long time to gain control of my own life. When I made 'The Wife,' I was in control of my own life for probably the first time," says Close. "I felt like I had new wings. Or maybe my wings were finally developed." That's a startling pronouncement for an actress who has for decades been one of the most versatile and subtle actors of film, television and theater. A late bloomer, she didn't act in her first film until age 35. But since, Close has unfailingly embodied intelligence and depth in everything from her early breakthroughs in "The World According to Garp" and "The Big Chill" to "Sunset Boulevard" (twice on stage, decades apart; she hopes to make a film of the musical this year); from her ruthless attorney on "Damages" to her infamous Alex Forrest in "Fatal Attraction." "I'm at a time in my life where I'm not beholden to anyone. I mean, I always am attached with every molecule in my body to my daughter, whether she likes it or not. But I'm not attached to any partner," says Close, whose 30-year-old daughter Annie Starke co-stars in "The Wife." "And I think it's for the first time in my life that I haven't felt the obligation to not be who I am, to put a shade over the light, to temper your power. And it's incredibly liberating."